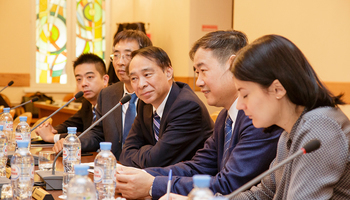 Representatives of Ritsumeikan University, the third largest private university in Japan, paid a visit to TUSUR on October 23–27, 2010. During this visit the delegation learned about scientific achievements of the «Nanotechnology» Research and Educational Center, Department of Design and Production of Radioelectronic Equipment, Department of Information Processing Automation, Department of Automated Control Systems and Robotechnics Laboratory of the Student Business Incubator. Visits paid to the Student Business Incubator and the Institute of Innovation became crucial for outlining the prospects of cooperation in the field of joint R&D commercialization. As a result, an agreement on cooperation was signed. 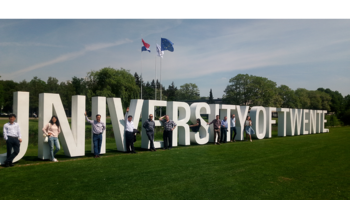 It envisages development of academic exchange programs between the two universities for faculty and staff, as well as undergraduate and postgraduate students on parity basis. Joint research-and-engineering seminar for undergraduate and postgraduate students of Ritsumeikan University and TUSUR is planned for May 2011. 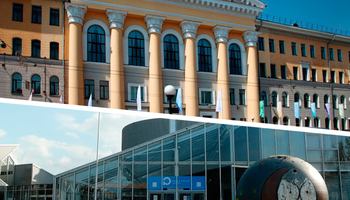 It will take place in Tomsk and will constitute the first step towards fruitful cooperation. The Japanese delegation will include 20 members. Ritsumeikan University has already obtained financial support for this event from the Japanese government. 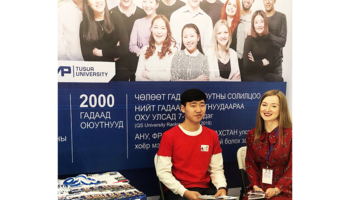 For further information on possible participation in the cooperation program, please, refer to the TUSUR Division of International Cooperation.